Wyn Ericson’s Art experience started at a young age. Wyn was raised in a family of artists in Southern California. His father is a Plein-air artist and Art teacher and his mother has a background in Machine Drafting and Tool Design and Technical Illustration. 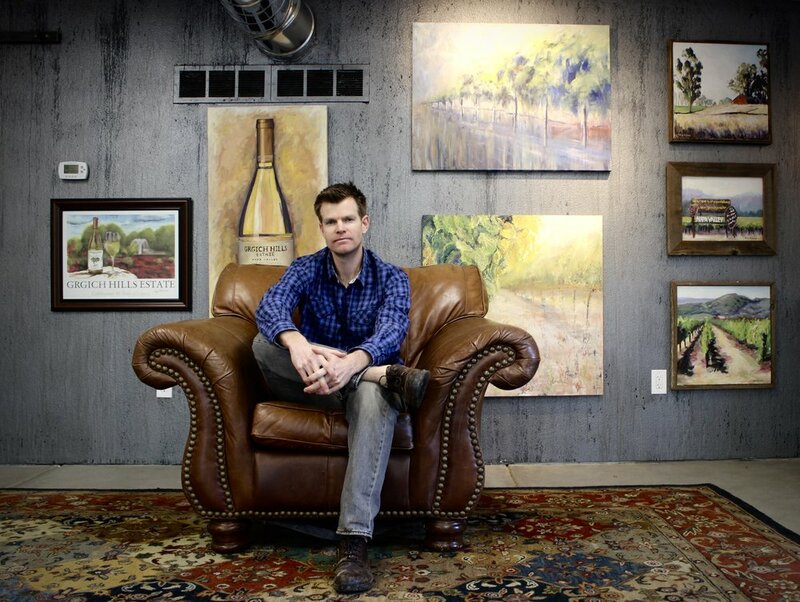 His extended family, also artists and teachers, have all grown to love art with a passion. Creating art outdoors is one of Wyn’s favorite past times. Exploring Yosemite Valley, hiking through the Sierras and driving up the Northern Coast is where he finds his inspiration. “Ever since I can remember, I have always loved to create art” After graduating from California State University, Fullerton with a Bachelor’s in Art with an emphasis in Drawing and Painting he decided to pursue a career in Art. He then went on to get his California Teaching Credential in Art education and finished his Master’s in Education in 2007 from Point Loma University. Wyn is currently teaching in Napa Valley where he enjoys creating beautiful vineyard landscapes. Wyn continues to paint scenes that are timeless, his mixture of texture and color will truly capture your attention.